BAR HARBOR, MAINE — The MDI Biological Laboratory has announced the formation of the Morris Scientific Discovery Fund, which will provide a total of up to $250,000 per year for eligible research programs. The goal of the fund is to ensure the continued development of the MDI Biological Laboratory faculty by providing short-term, pilot project support for research programs that demonstrate a likelihood of successfully competing for federal funding. The fund is supported by Martha and Wistar Morris of Villanova, Pa., and Northeast Harbor, Maine, who are long-time benefactors of the MDI Biological Laboratory. Their support at critical points in the institution’s development has contributed significantly to its transformation into a global leader in the fields of regenerative biology and aging. 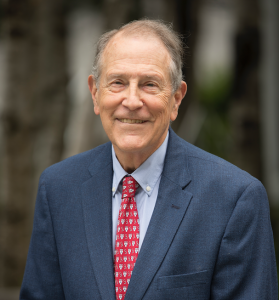 “Martha and I are pleased to support the outstanding scientists at the MDI Biological Laboratory by providing the seed monies that will help move their pioneering research forward,” Wistar Morris said. The Morris Scientific Discovery Fund will provide up to $75,000 per year to professor-track faculty with a history of independent, extramural funding who meet the eligibility requirements. The Morris fund is the most recent chapter in an extensive history of giving that was recognized in 2008 when the MDI Biological Laboratory named its first major laboratory building after the Morrises in honor of their commitment to the institution and to its research mission of extending healthy lifespan and improving quality of life.